Monochrome postcard, part of the collection sent to members of the Forsyth family in Edinburgh, Pittsburgh and New York. 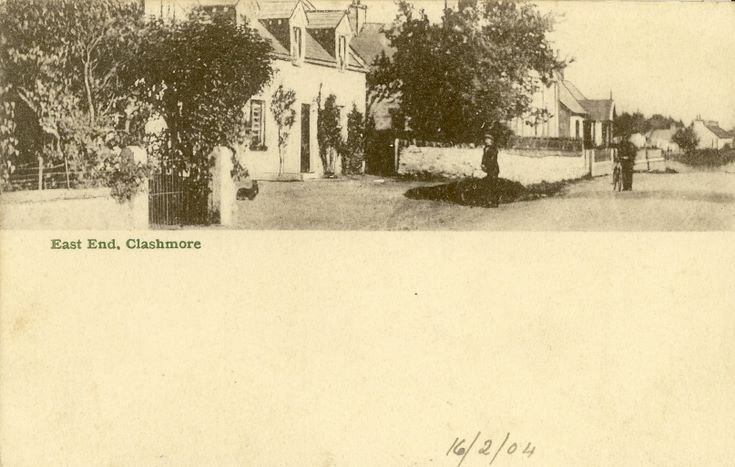 Monochrome photograph with inscription 'East End, Clashmore' and handwritten date below 16/02/04. Reverse shows address of Miss N Forsyth in Edinburgh. Edward V11 green half penny postage stamp with illegible postmark.